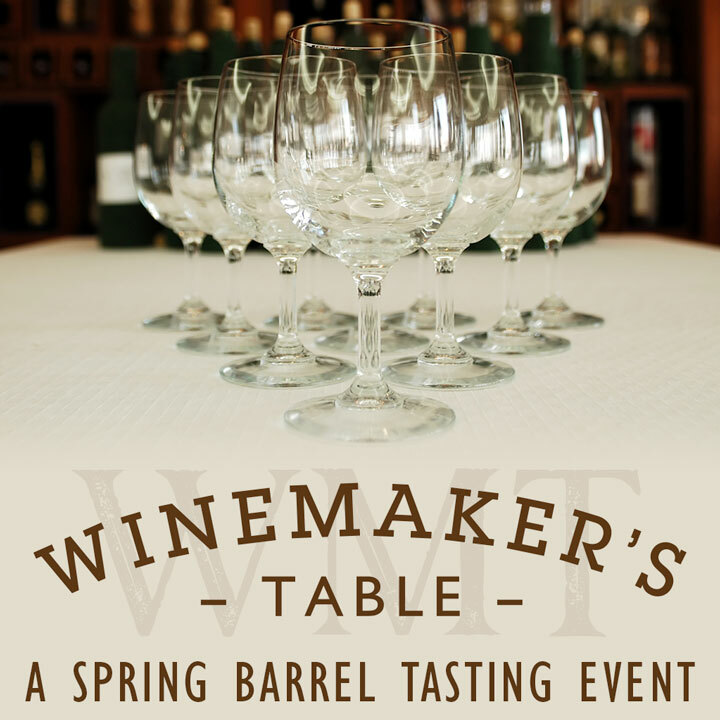 Reserve your seat at the inaugural Winemaker’s Table, offerings an intimate tasting with your favorite winemaker during Spring Barrel Tasting Weekend. Yakima Valley’s newest event offers an intimate tasting with your favorite winemaker, April 27– 28, 2019. Enjoy an exclusive vertical tasting of library wines, current vintages and barrel samples from your favorite winery during Spring Barrel Tasting 2019. 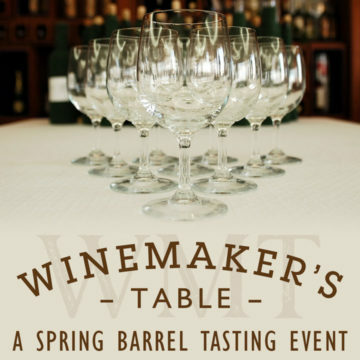 This is the perfect opportunity to enjoy Yakima Valley’s Spring Barrel Tasting festivities without the crowds. Eight winemakers are opening their tasting rooms exclusively to Winemaker’s Table guests showcasing a vertical of their best wines. Learn the history, nuances, and stories of each wine in an intimate seated tasting. In addition to these smaller more intimate tasting experiences, your Winemaker’s Table ticket will be honored as a Premier Pass to all participating wineries for the duration of the event weekend. Wineries will hold regular seated tastings and welcome you upon arrival. Feel free to set your itinerary and show up at the top of the hour, or, make reservations by contacting the winery directly. Enjoy an exclusive vertical tasting of library wines, current vintages and barrel samples. Tastings held at 10am, 12pm, 2pm and 4pm on Saturday and Sunday. Reservations required. Tickets must be purchased in advance. Seats are limited! Tickets purchased by April 16 will mail to you at the location you provide during checkout. Tickets purchased after April 16 will be available for pick-up at any of the participating Winemaker’s Table wineries during the event weekend.